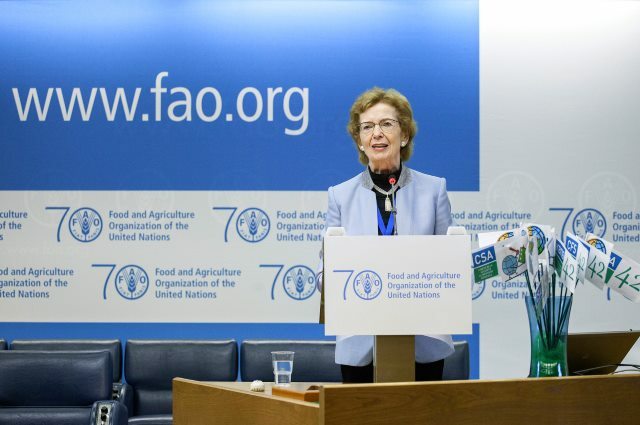 Mary Robinson addressed the linkages between gender equality, climate change and food security during a keynote address at the 42nd session of the Committee on World Food Security in Rome. “If we are to achieve SDG 2 and end hunger, achieve food security and improved nutrition and promote sustainable agriculture we have to empower women and girls”, Mary Robinson, President, Mary Robinson Foundation – Climate Justice, told the 800 assembled delegates for the 42nd session of the Committee on World Food Security (CFS), taking place in Rome this 12-14 October. The CFS gathering, which focused on food security and nutrition in the Post-2015 Development Agenda, is the first major development conference since the adoption of the Post-2015 Development Agenda in New York last month. The conference brought together government representatives, private sector actors and members of civil society to examine local, regional and national approaches to improving food security and nutrition. In her address to the committee Mary Robinson reminded those gathered in Rome of the interlinkages between the 17 Sustainable Development Goals (SDGs). “The experience of the MDGs has shown that addressing the goals in isolation, and addressing the environmental, social and economic aspects of development separately, limits success. 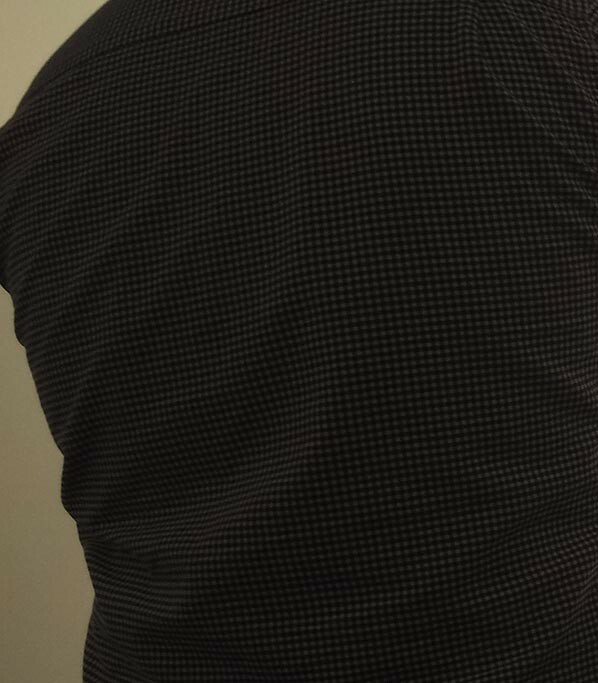 This time round we need to be steadfast in our commitment to make equal progress on all of the goals, conscious of their interdependence and the co-benefits to be captured through coherent approaches. Because we know that if we make progress on food security and nutrition we will create co-benefits for SDG 3 on health and for SDG 4 on education”. Efforts under the Millennium Development Goals fell just shy of their target to halve, between 1990 and 2015, the proportion of people who suffer from hunger. Today, 795 million people still go hungry, more than one in four children are affected by stunting, and nine percent of children are affected by wasting. The 2015 Global Hunger Index reveals that levels of hunger remain ‘serious’ or ‘alarming’ in 52 of the 117 countries with GHI scores. As countries develop climate policies in response to the new climate agreement, and as countries develop their plans to implement the SDGs, Mary Robinson noted that there will be opportunities to integrate food and nutrition into climate action and climate into policies on food and nutrition, health and agriculture. “In this way country plans for the SDGs have great potential to accelerate action on climate change so that emissions peak in 2020 and that resilience is built to cope with climate risk” she remarked. The Committee on World Food Security (CFS) was established in 1974 as an intergovernmental body to serve as a forum in the United Nations System for review and follow-up of policies concerning world food security including production and physical and economic access to food.